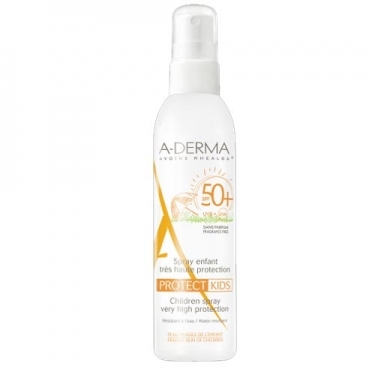 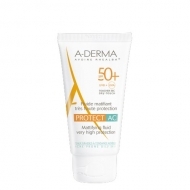 DESCRIPTION: Protect Children Spray SPF50+ from A-Derma is a spray-on sunscreen designed specifically for kids. 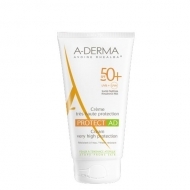 It offers a very high protection from the harmful effects of UV rays, reinforces the unbalanced skin barrier and promotes cellular defenses against UVA rays. 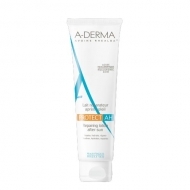 It contains in its formulation: Barriestolide, coming from the Oil of Plantulas of Oats Rhealba, that reinforces the skin barrier weakened by the sun; Rheulba Oats Plantules Oil, which strengthens cellular defenses against UVA rays.